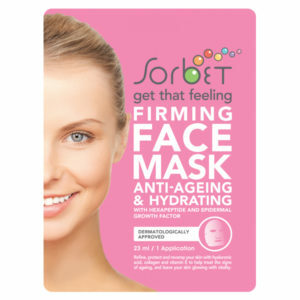 Multi Masking the Sorbet way! Every one of our Sorbies is different in their own special way and this is the same with our skin types. Some of us have dry skin, some have more oily skin and some of us even have combination skin. Masking has become of the most effective ways to combat some of these skin concerns. But what’s one up on Masking – Multi Masking. Don’t worry – it’s not as complex as it sounds and actually, it’s kinda fun! 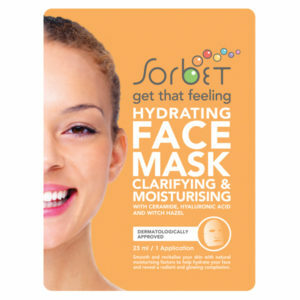 It involves the application of a number of face masks at the same time to target specific skin concerns, some Sorbies have been known to use up to 9 masks at a time! Very impressive indeed! What we love the most about this trend is how you are tackling different concerns all at once. 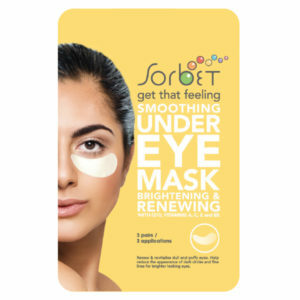 The best part – you can use this amazing new technique in the comfort of your own home and we have all the products you need right here at Sorbet. Oily Skin – We (almost) all tend to have an oiler skin on our t-zone. Our Cleansing Face Mask – Oil Control is the perfect mask to apply on this area as it clears congested pores, draws out impurities. Ideal for people with excess oil which leads to spots & blemishes. Contains tea tree and essential oils with anti-bacterial and antiseptic properties. Ageing & Wrinkles – Got wrinkles on your forehead? Our Anti – Ageing & Hydrating Face Mask, has an Intensely hydrating treatment for ageing and dry skin. Super ingredient Epidermal growth factor tricks the skin into looking younger and increases Collagen production. You’ll be looking more youthful in no time! Spots & Blemishes – spots are something we all experience at one or more stages of growing up, and even as adults, these little menaces love to drop by for a visit! 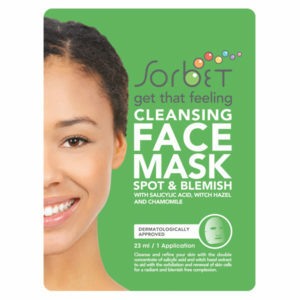 Our Cleansing Face Mask – Spot & Blemishes, is ideal for people with acne. Salicylic acid speeds up healing process of spots & blemishes. Chamomile soothes skin redness. Combination Skin – the is the most common skin problem that our Sorbies suffer from, but of course, we have you covered, our Hydrating Clarifying & Moisturising Face Mask is perfect for this very same issue. 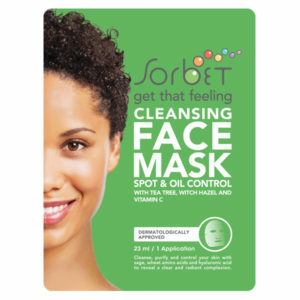 It assists in controlling the skins production of sebum (oil) and Witch Hazel reduces enlarged pores. Under Eye Treatment – Never forget the eye area! Apply an anti-ageing mask like our Anti – Ageing & Hydrating Face Mask around your eyes as this tends to age faster (be careful whilst applying to ensure you don’t get any in your eyes!) Follow with our Smoothing Under Eye Mask to further combat puffiness, fine lines and wrinkles.